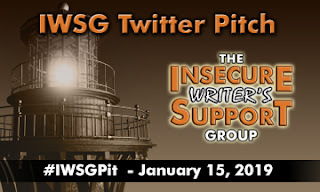 Visit the #IWSGPit site for the rules and hashtags. We got to meet fellow IWSG member, Samantha Bryant. Are you participating in #IWSGPit? 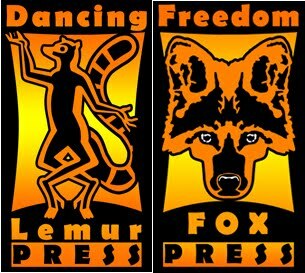 Dancing Lemur Press has signed two authors from this Twitter pitch party. Loved the photo's Diane and yes, when is Alex's new book coming out? You'll have to ask him when he's going to finish it. Sounds like an awesome event. And so cool that people are waiting for Alex's next book. The pictures are fun on Instagram. I wish there were more from the weekend, but this wasn't a big cosplay type of con. Looks like a fun event! How cool that you got to meet Samantha. I'm sitting out this Twitter pitch, but good luck to all participants! Loved the pictures. No not participating. Fun. I hope to go to a con someday. Sounds like you had a great time. We enjoy going just as much as having a booth there. I dig your convention characters which I have to admit appeals to me because I know the lines of Star Trek. I'd go as one of Treks characters but I'd need someone else equally versed and willing to pull off the gig. Looks like you guys had great fun! Fun characters. I'm considering the pitch party. Thanks for the nudge. Now that looks like it was a ton of fun. 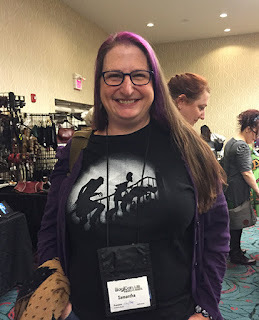 How awesome to meet a fellow IWSG member. Even more amazing...people asking about Alex! He's a legend! It was fun to meet Samantha. 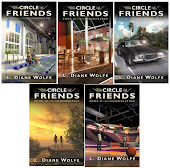 She pointed out all the authors' books she knew to her friend. Great pictures! I bet the Twitter pitch was a great success. So close, but I need my beta feedback first. Hi, Diane! I'm not ready for a Twitter Pitch, but I appreciate the IWSG for making the opportunity available for those who are. IllogiCon VIII looks like a fun event. I, too, want to know when Alex's next book comes out! How did the pitch party go? Have a fun, productive weekend. HA! Love the costumes. Looked fun! Here I go again, arriving after the festivities have happened. What a collection of characters. Wonder if Alex will write faster? Some great costumes.... looks like you had fun! That's great that people want more of Alex's books! I'm sure he's busy writing. If you need me to autograph anything, let me know. I can certainly do that for the September show.